Once you have your materials together, we can wire it up. Place the NodeMCU on the breadboard. The rest of the instructions assume the front ( with the holes ) of the DHT22 is facing you. The left-most pin of the DHT22 is the positive pin. You should connect it to 3v3 or Vin on the MCU. The second pin of the DHT22 (from the left) is the data pin. You should connect it to D2 on the MCU. The third pin of the DHT22 (from the left) does nothing. The last pin of theDHT22 (from the left) is the Ground pin. It should be connected GND. 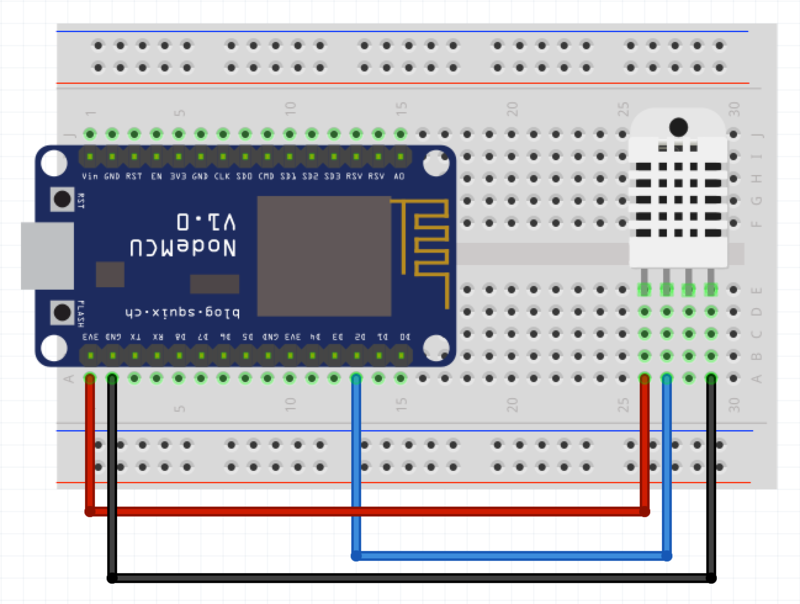 In this tutorial, to program the NodeMCU, we are going to use Arduino's IDE. It's the easiest way to get up and running with the DHT22. First, you'll have to set up your machine: Environment Setup Instructions. These instructions take you through installing the IDE and the proper libraries. 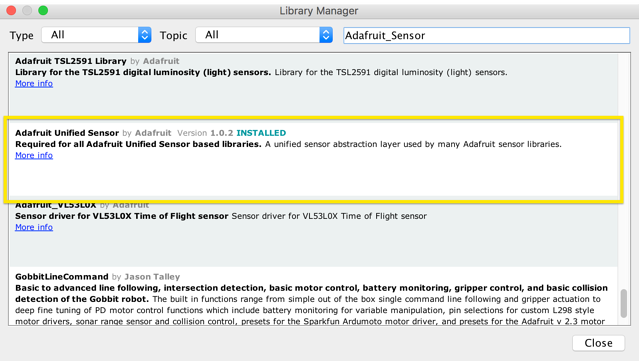 Important: Lastly, you'll need to increase the underlying MQTT library's memory limit. 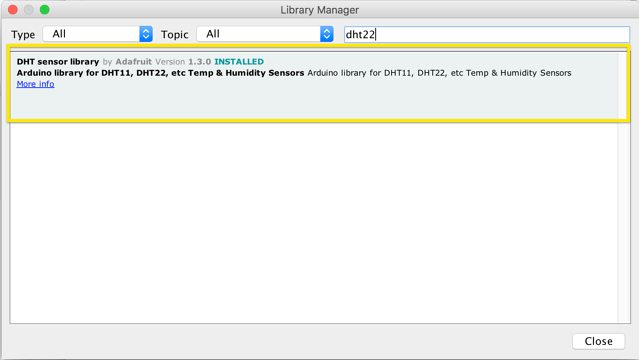 The PubSubClinet MQTT library has a default memory limit that is not enough to support all the values that the DHT22 sensor can collect. The error is also not apparent, which makes it hard to track. To increase the memory limit, please check out this forum post. Now were are ready to write some code. Now that we have the data let's send it to Losant. 2. 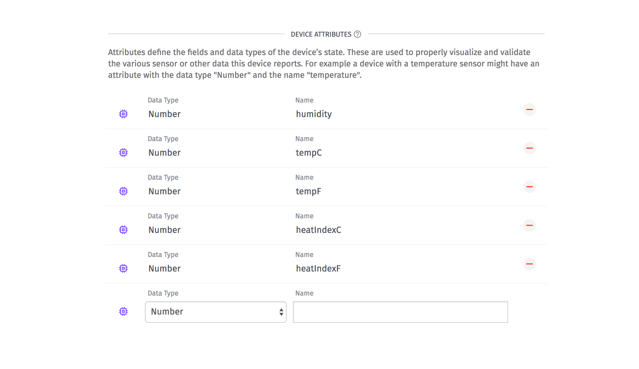 Create a standalone Device - Make sure you save the Device ID. Set up five attributes of type number: humidity, tempC, tempF, heatIndexC, heatIndexF. 4. Create an Access Key and Secret - You should save these keys somewhere safe. We need to change up the previous program because now we need to connect to WiFi and Losant. In this example, we make the connections to WiFi and Losant, then report that data to Losant every two seconds. Now, if you open up your serial monitor, you should see it connect and report the data. 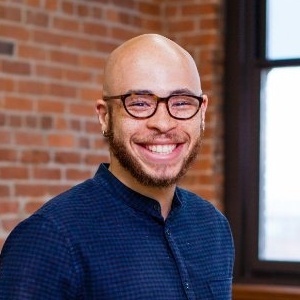 If you've having diffulty connecting the device to Losant, please check your Application Communication Log for detailed error messages. With Losant, in a few clicks, you can visualize the sensor data. 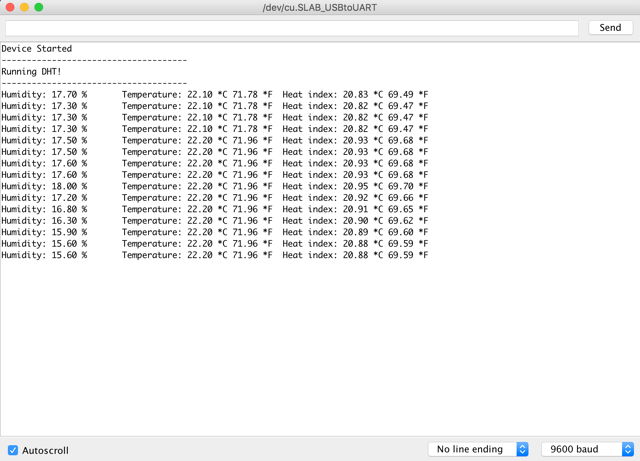 To graph the temperature and humidity data, we just need to create a dashboard. Each dashboard is made up of smaller components called blocks. Let's create a block for humidity. For this example, we will use the Time Series Block. 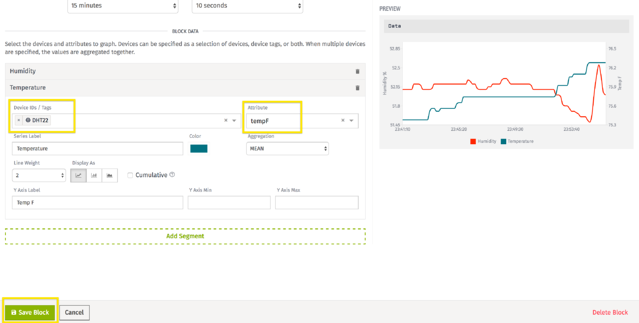 In the block settings, choose the device that you created earlier, and you want to select the attribute called humidity. We can also do the same for temperature. After you add the block to your dashboard, you can now see a graph of the ESP8266 reporting temperature and humidity. There are also more types of dashboard blocks that you can explore. At this point, you are collecting and visualizing data. But, what about reacting to it? 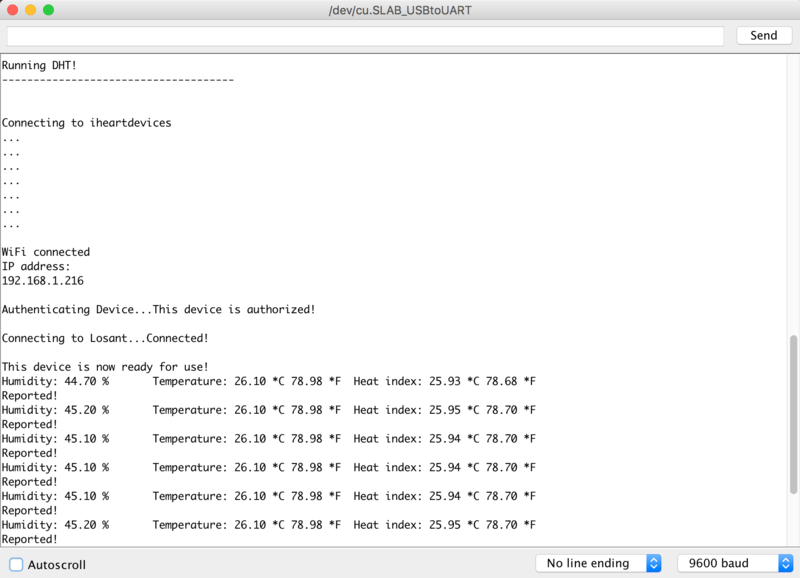 The next step is to build a Workflow in Losant to send yourself a text message whenever the humidity gets too high. If you have any questions or feedback, let us know!